If music plays in the forest, you should be there to hear it. 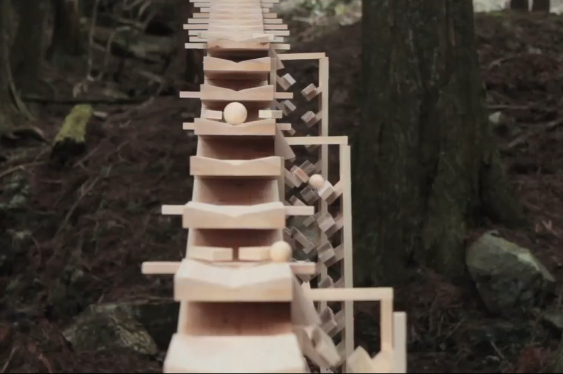 “Xylophone in the Forest,” in the Hokkaido Garden Show, was used to advertise a Japanese mobile phone company. This happens to be an indescribably beautiful idea. When I have my own forest, I will make one of these instruments. Cheers to Ruben Mandolini for posting this video. This entry was posted in All Posts, Music: Causing Treble and tagged Hokkaido Garden, music in the forest, unique percussion instruments, xylophone in the forest by Ann Videan. Bookmark the permalink.